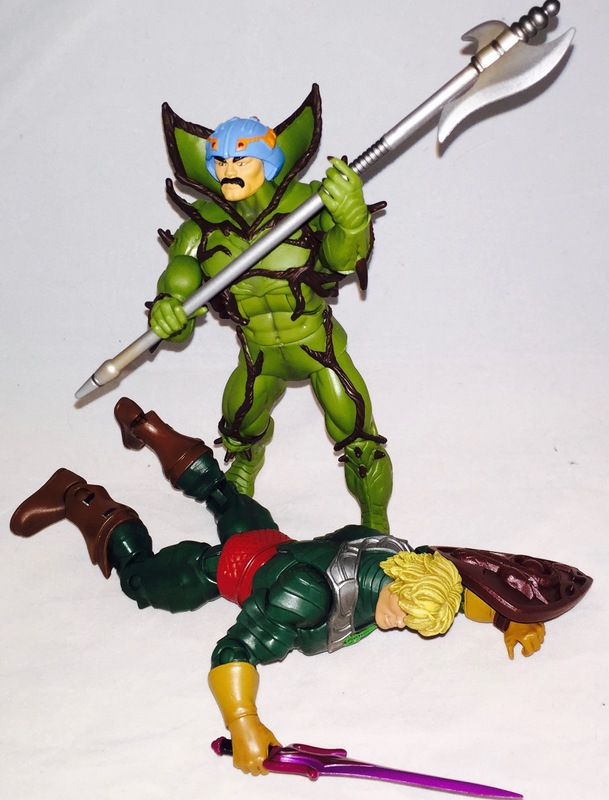 SpartanNerd thoughts on MOTUC and COMIC CON reveals. Seriously. I must have this.!!!. When will they make an Attack Track? 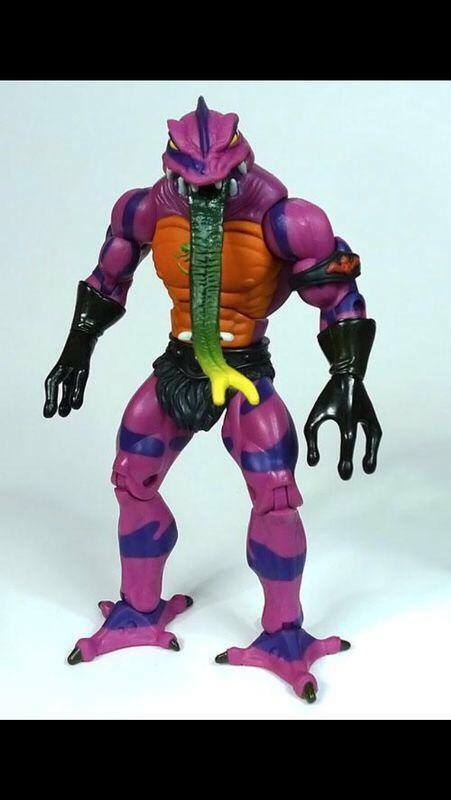 About Tongue Lasher, he is my favorite Snake Man. But the tongue here just looks wrong. I prefer the paper-ish tongue on the vintage figure. 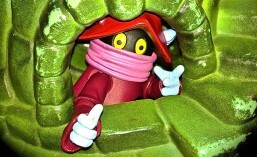 Eldor always has looked cool. Way better than He-Ro. I won’t bother posting a pic of Sweet Bee. Not interested. I teach in an elementary school…so my toys are welcome! I have a habit of opening most things I buy, but I decided to keep these cars on card. Notice I didn’t say “Mint On card.” No the packages are a little banged up etc, and they were when I got them for that matter. These cars hang on my office wall, and the students really enjoy looking at them. In the past I have also displayed my 200x He-Man with Iron Cross Variant MOC as well. Here are some pics of the cars I have. 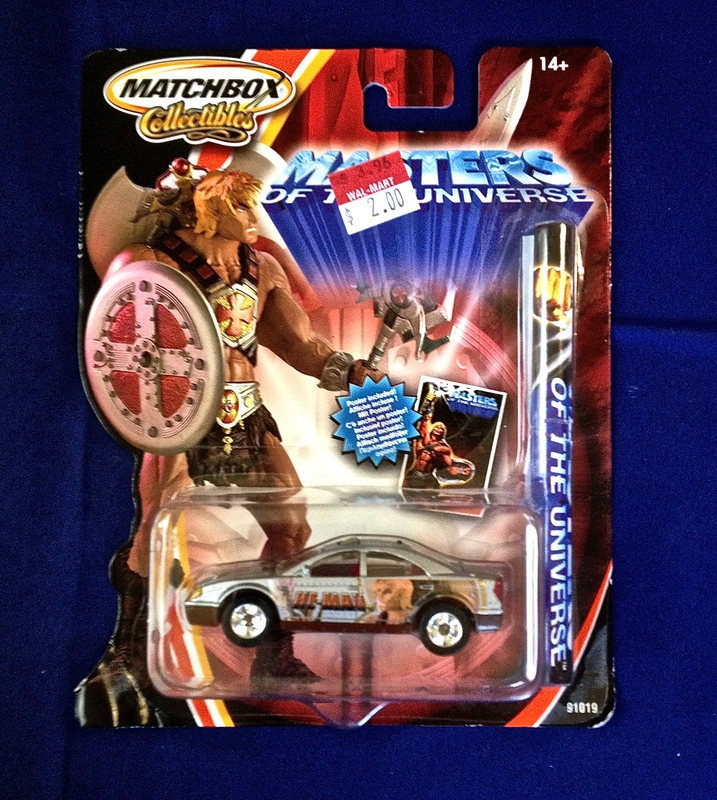 The Matchbox cars were purchased on clearance at Wal-Mart or Big Lots, and the SpartanWife got the newer Hot-Wheels for me for Father’s day a few years ago. Here is my complete collection. I hang these on my office wall. 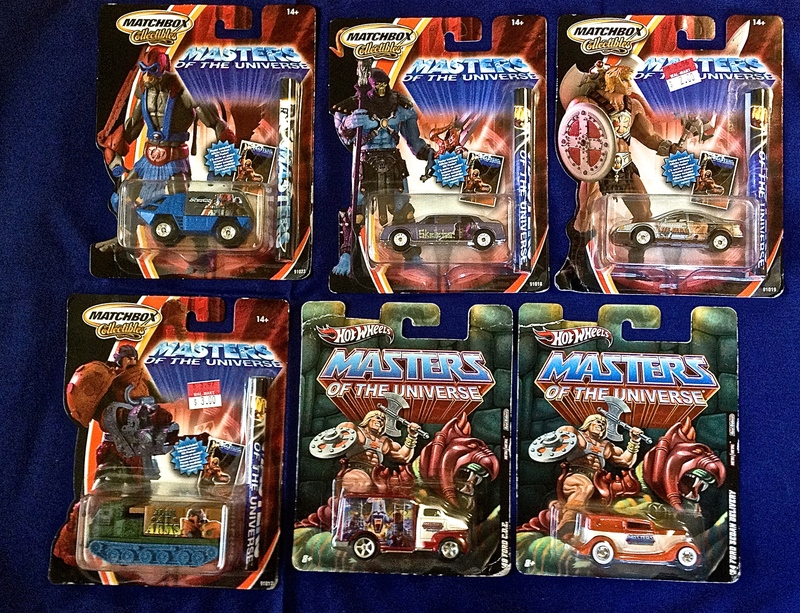 The orange car features the Masters of the Universe logo. 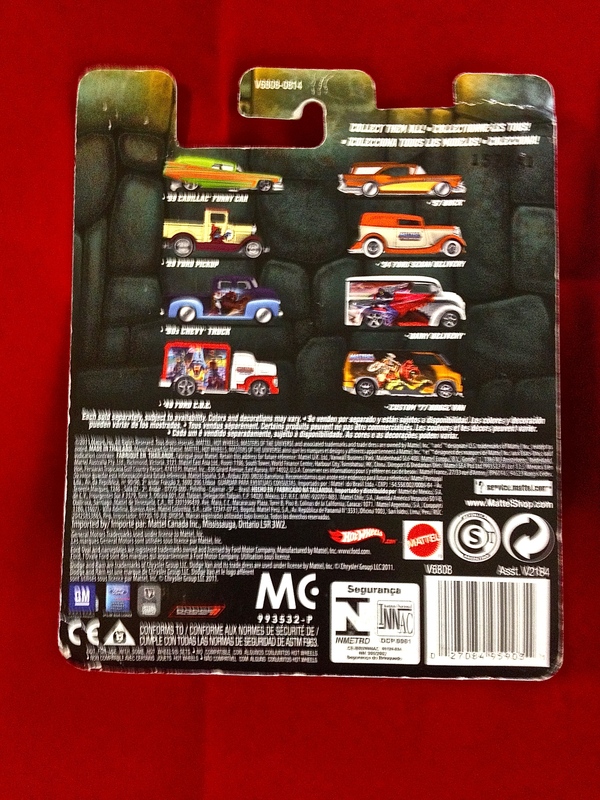 The truck features side-panel art of the three towers. 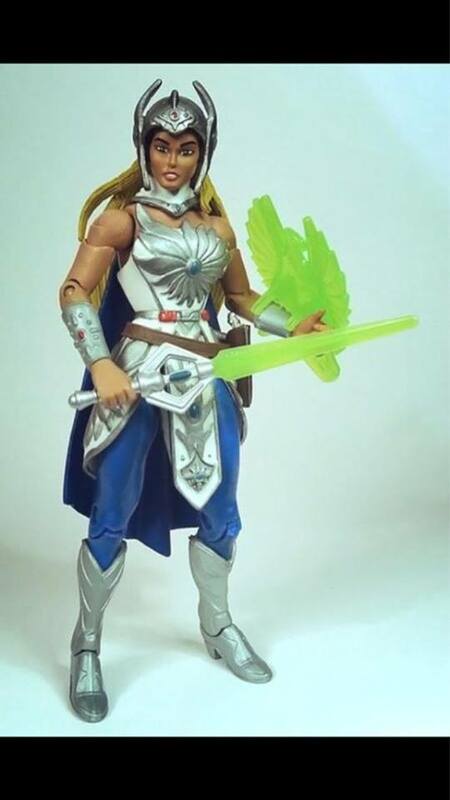 I would point out that the current MOTUC ideas really show a desire to bring out the three towers, though there doesn’t seem to be any official way for them to happen. This little car is another example of that. 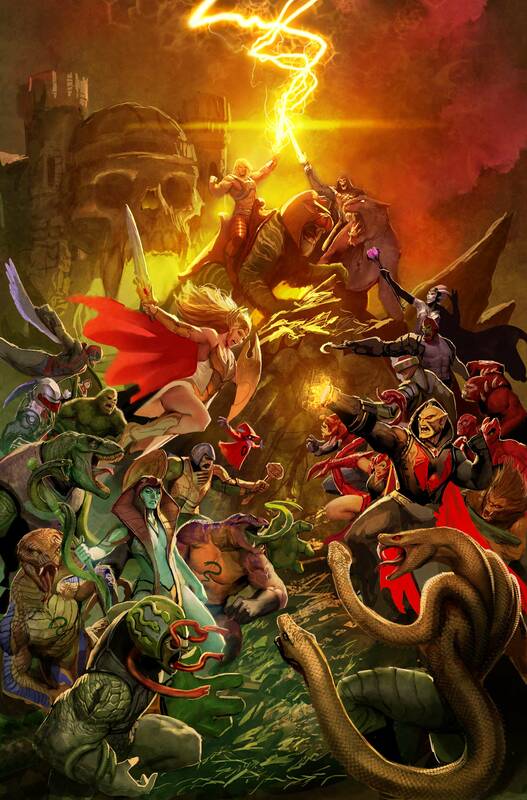 Anyone else notice that He-Man is wielding his axe in his LEFT HAND! I decided not to remove the price tag stickers for fear of tearing the print from the card. That poster bugged me for a long time. 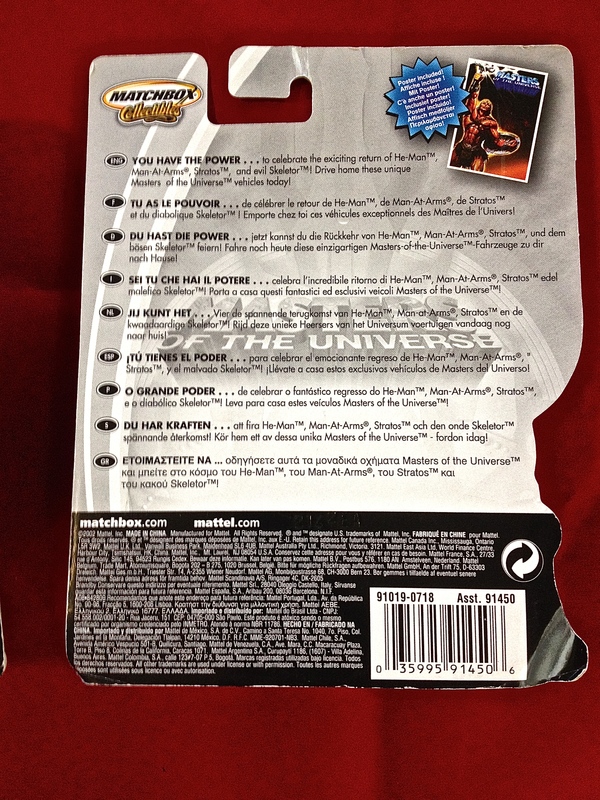 It never occurred to me to see what it was a pic of by looking at the back of the box! But I was strong. I never opened it! 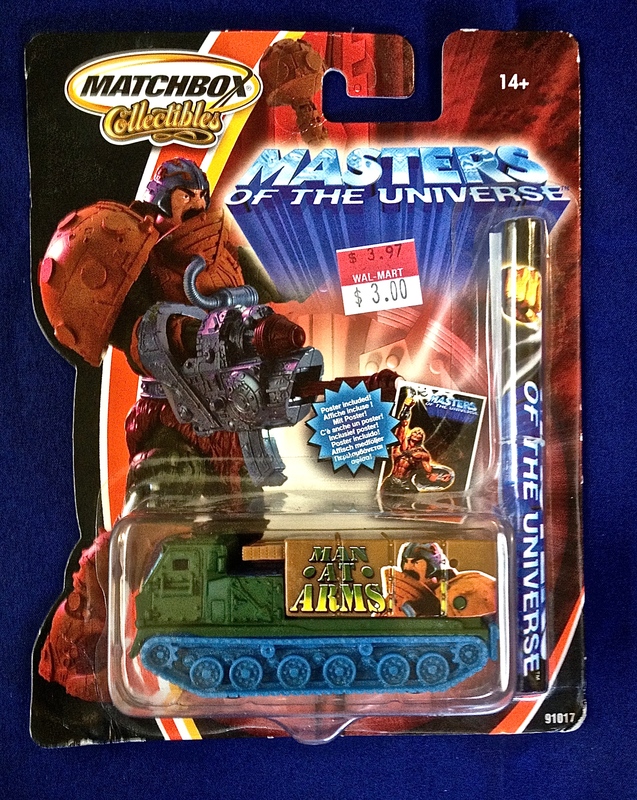 I like how the He-Man has that Iron Cross on his chest…just like my Mint On Card figure! 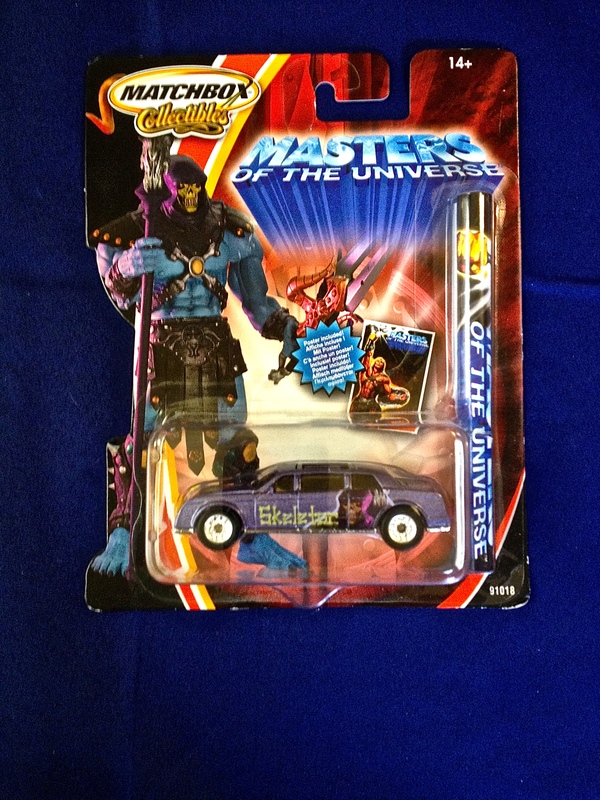 I like how Skeletor gets the Limo! That fits him soooo well! 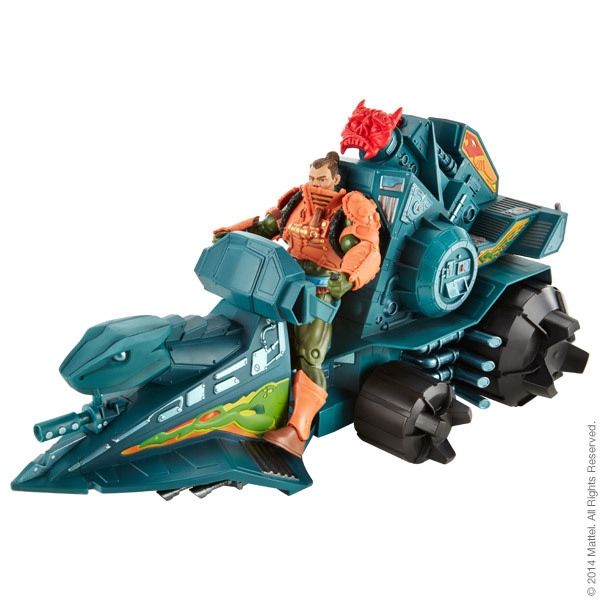 Man-At-Arms gets the armored tank also. 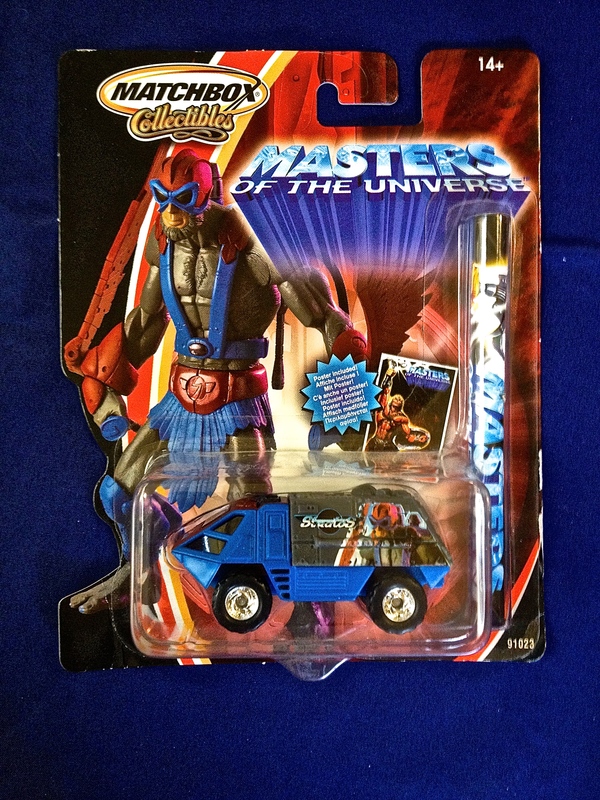 But Stratos’ and He-Man’s choice of car are more puzzling. Why not make Stratos have a plane? That totally could have happened. 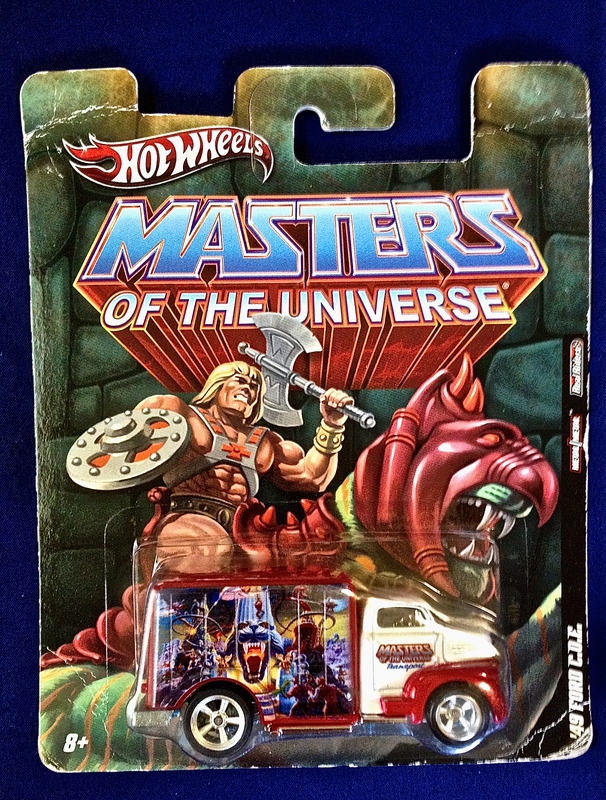 He-Man gets a Sedan? Really? Overall, I enjoy looking at these. I am always finding something new. Did anyone else notice that the Matchbox cars are facing the opposite direction of the Hot-Wheel’s cars? See…I have really studied these things! What would you rate them? Let me know!